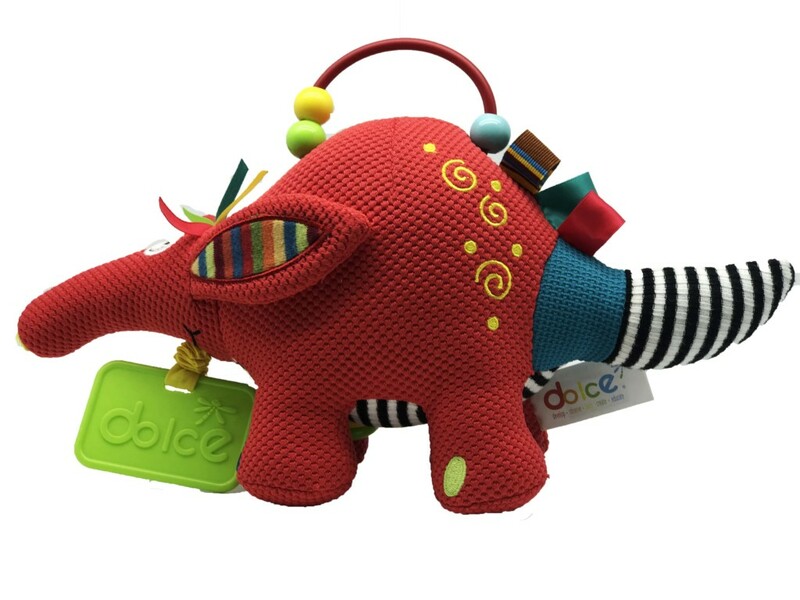 TThis cute little baby aardvark can be picked up and hugged by small hands very easily. 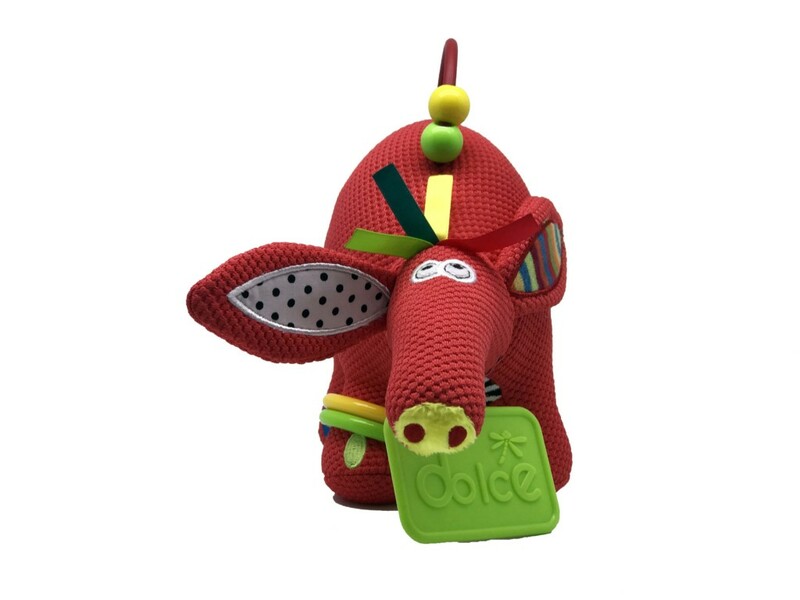 If bought with the Adult Aardvark they make an adorable set. 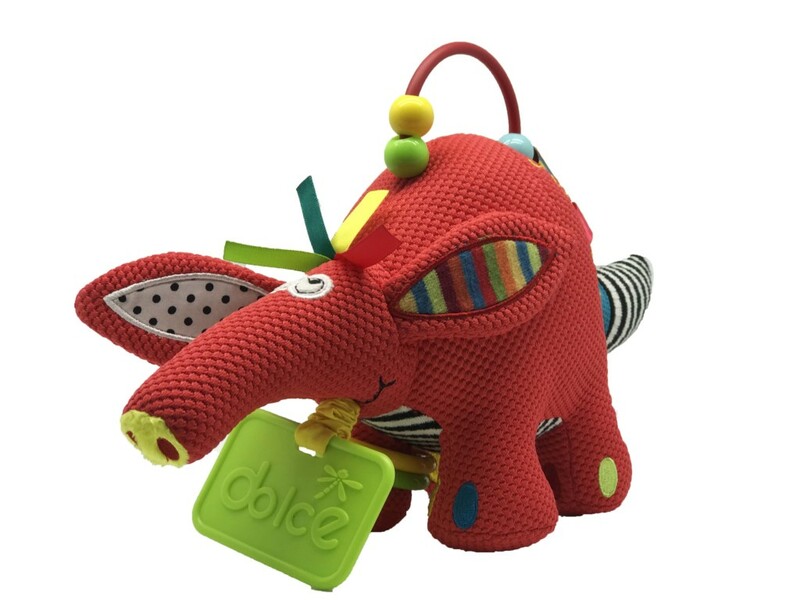 There is a counting bead carry handle, crinkle ears and a teether that will make the baby aardvark vibrate hilariously when pulled. 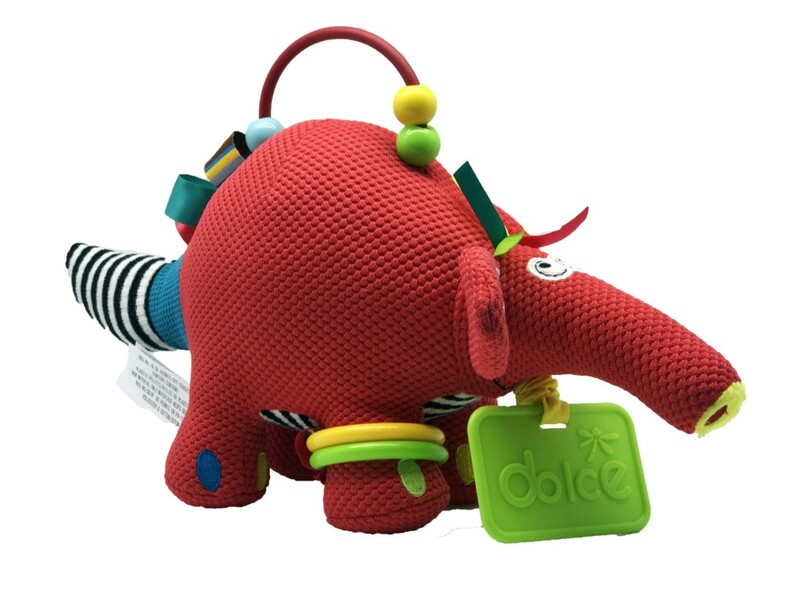 • Vibration: Children will love pulling on the teether to make the aardvark vibrate hilariously. 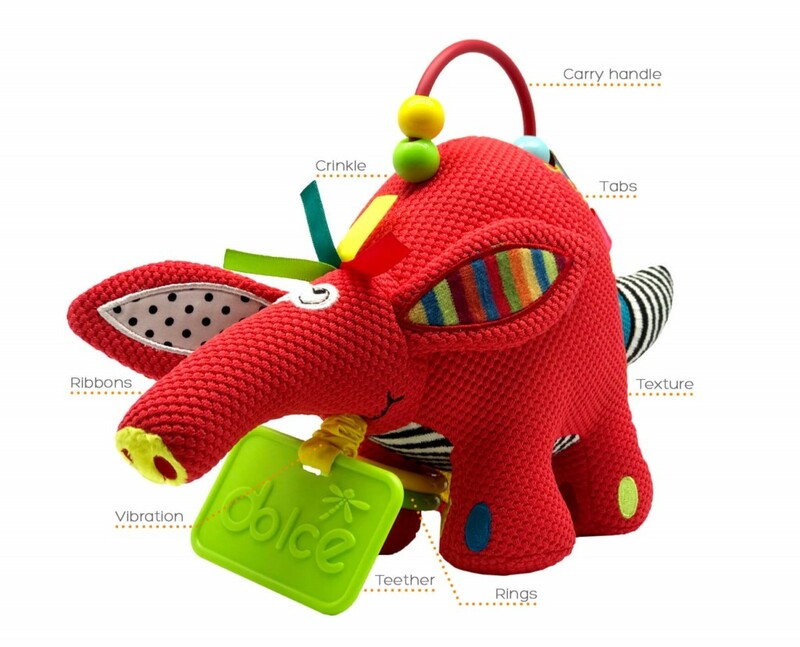 • Touch: The different textures, crinkle ears, and bean bag interior make it perfect for cuddles. 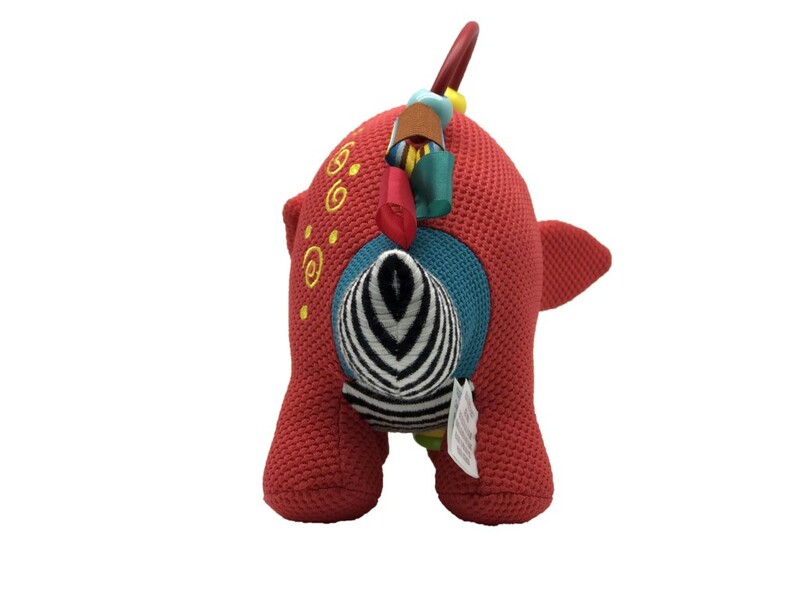 • Helps to connect motor skills with auditory learning by squeaking and pulling on the ant to create vibrations.